The result came despite the Irish regional side were trailing 6-16 at half-time and they now move to the top of the table in Conference B which also has Edinburgh at fourth. Edinburgh got off to a terrific start in the first 15 minutes when winger Tom Brown crossed over while fly-half Simon Hickey kicked two penalty goals and a conversion to take the scoreline to 0-13. Cooney finally got Ulster off the mark with a 21st minute penalty kick but Hickey negated his effort two minutes later before the Ireland international kicked another three-pointer as the teams went into the break with a 6-16 scoreline. Edinburgh were quick to get off the block in the second half when James Johnstone crossed over in the 47th minute but Will Addison responded with a try of his own for the home side as the gap between the two teams remained at 10 points and even turned into a 13 point lead for Richard Cockerill's men when Hickey slotted his fourth penalty kick in the 57th minute. 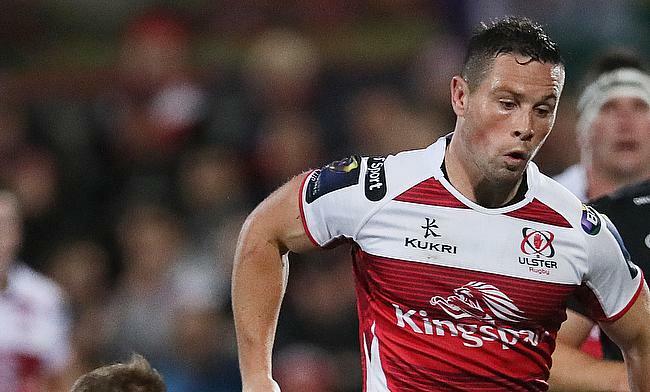 However, Ulster turned the game in the final quarter and it was Cooney once again with a converted try in the 61st minute and seven minutes later Craig Gilroy dived from close range and the conversion from Cooney took them to a 27-26 lead. With one minute left in the game, Edinburgh thought they had the game with a 80th minute penalty goal from Hickey but Cooney had other plans as he made his last kick count in the added minutes to seal an one point victory for Ulster.